Kao, a leading global manufacturer of premium beauty care brands: Jergens, Bioré, John Frieda, Curel, Ban. Streamline integration of multiple recently acquired divisions through a focus on shared goals. 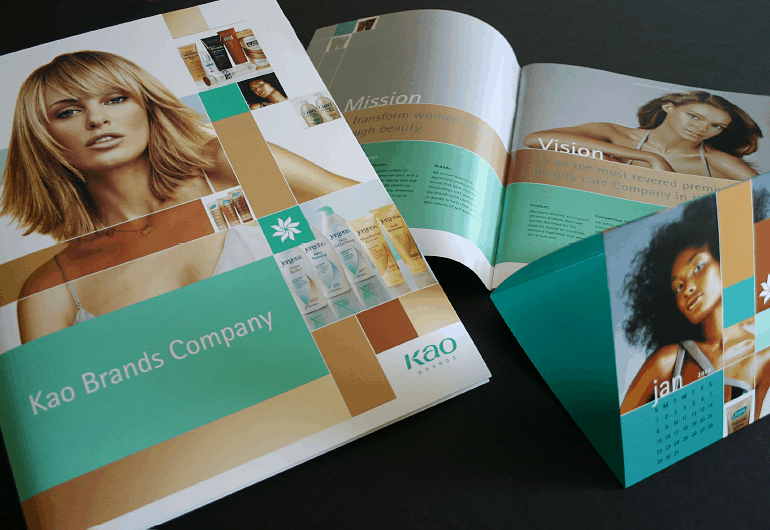 Developed the See, Feel, Change internal brand and campaign, to communicate Kao’s corporate mission statement and positioning as makers of premium beauty products. Applied across multiple offices worldwide via an installation of posters, employee recruitment materials, and employee benefit packets. Also developed sub-brand for benefits provider Kao America, Inc. and style guides for implementation.